Special Offer: Get TWO pair of glasses for the price of ONE! Call us at (803) 535-2000 today. Welcome to H. Rubin Vision Center in Orangeburg. Dr. Shane Spittler and the H. Rubin Vision Center team strive to provide the best in optometry services. We invite you to browse our website to learn more about our optometry services and join our patient family by scheduling an eye exam appointment at our Orangeburg office. H. Rubin Vision Center is a full service eye and vision care provider. We see both eye emergencies as well as scheduled appointments, and walk-ins are welcome. Patients throughout the Orangeburg area come to H. Rubin Vision Center because they know they will receive the personalized attention. Providing professional care is our foundation. Dr. Spittler and our caring team are dedicated to keeping our patients comfortable and satisfied at each visit. At H. Rubin Vision Center, we will explain every exam and procedure and answer all of our patients' questions. 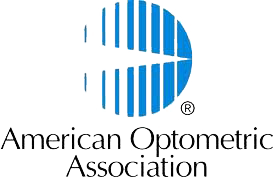 Additionally, at H. Rubin Vision Center, we are providers for a majority of the insurance plans in the Orangeburg area to ensure good eye health and vision care access for all of our patients. Our one-on-one approach to optometry makes Dr. Spittler and the H. Rubin Vision Center staff the eye and vision care providers of choice in the Orangeburg area. Our Orangeburg optometrist offers the following services: comprehensive eye exams, contact lens exams, macula degeneration evaluations, glaucoma detection and management, allergy/dry eye evaluations and diabetic eye examinations. For a complete list of services, visit our services page or call our Orangeburg office at (803) 535-2000. At H. Rubin Vision Center, we are dedicated to providing high-quality optometry services in a comfortable environment.Call us at (803) 535-2000 or schedule an appointment today online. "H. Rubin Vision Center is the best at what they do and make you feel right at home." "Doctors and staff are courteous and very professional. I wholeheartedly recommend H. Rubin Vision Center!" Dr. Spittler, originally from Norfolk, Nebraska, was a Naval Corpman and served active duty with the United States Marines starting in 1986. He served for four and a half years where he received numerous awards and citations. He then went on to Wayne State College in Wayne, NE where he earned a B.S. in Chemistry and a minor in Physics in 1994.